Contact Seller's Agent for Details! 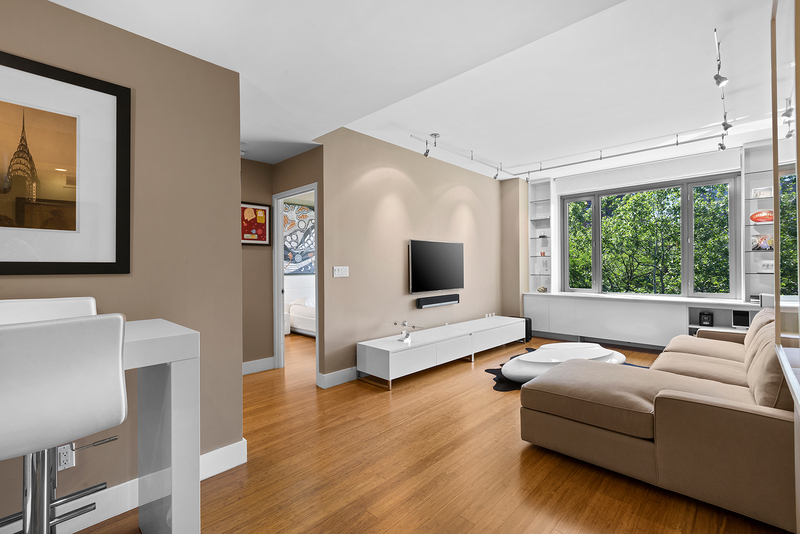 Located in Chelsea's 305W16, unit 5L is a west-facing, well-appointed one-bedroom home with a very comfortable layout. The double-paned, triple-locked windows provide peace and quiet, but allow for plenty of natural light. Sturdy carbonized bamboo flooring is found throughout the home. The galley kitchen features Caesarstone countertops, a range, Bosch cooktop and microwave, a Fisher & Paykel refrigerator and custom Italian-made Cerused Wenge cabinetry, ideally located next to the dining area. The bathroom, enhanced with additional lighting, and sliding glass bath door, has a custom Italian-made master vanity, Grohe fixtures and Roca tile. 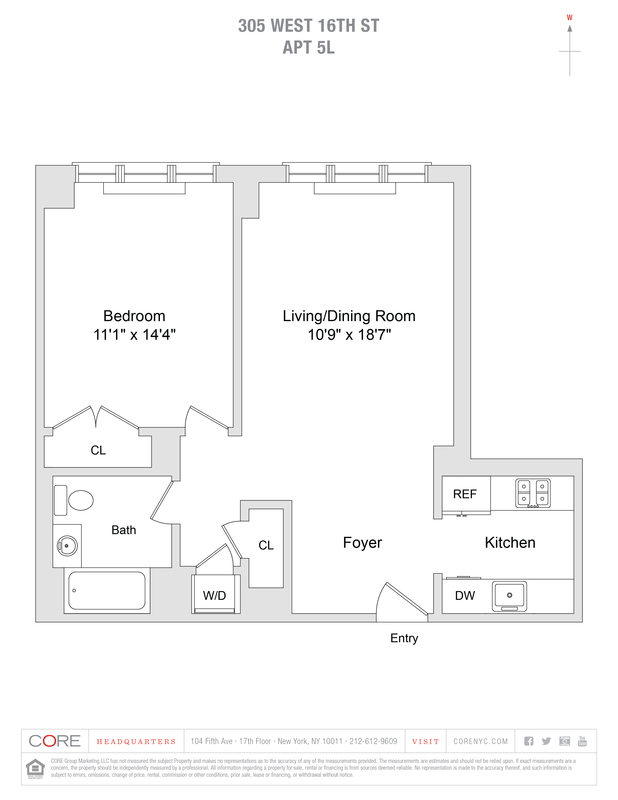 Ample storage and LG washer/dryer complete the space. This unit comes with a designated storage unit in the basement as well.